Unfair Wills / Blog / Notional Estate / What is a notional estate claim? The Succession Act 2006 (NSW) allows for a family provision claim to treat property that is not actually part of a deceased estate as still notionally part of a deceased estate. This can greatly enhance the amount that can be awarded to a claimant, because notional property is considered together with actual property when determining what assets will be subject to a family provision order. Notional estate orders are a feature unique to the New South Wales legal system and have been introduced to prevent a person transferring ownership of property during their lifetime to avoid that property being subject to a family provision order. A classic example of a notional estate is a joint tenancy of two people where, after the death of one of them, the ownership passes to the survivor. The deceased’s share of the property can form part of the notional estate and be subject to a family provision claim. Another example is superannuation. Superannuation is held by a trustee and does not form part of a deceased’s actual estate. A notional estate order can be made to designate the superannuation money as part of the deceased’s notional estate, and be subject to a family provision claim. What is a notional estate? A family provision claimant usually makes a claim for provision out of property owned by the deceased at the time of his or her death. This is called the actual estate of the deceased and it includes all property held solely in the name of the deceased when they died. In special circumstances it is also possible to claim provision out of property which is not directly owned by the deceased at the time of their death or has been distributed – this is the notional estate of the deceased. A notional estate order will only be made if a family provision order would already have been made and the deceased person left no actual estate, the actual estate was insufficient, there are other persons entitled to apply for family provision orders out of the actual estate, or there are special circumstances. Once property is designated as part of a notional estate, the property is dealt with for practical purposes as if it were property in the actual estate. A notional estate order extinguishes (to the extent of the order) the property rights of the person who held the property before the order was made. Without full valuable consideration in exchange for the transfer. Full valuable consideration is a legal term which in this instance means payment in money or equivalent for the full value of the property. If the deceased transfers property as a gift or in exchange for a nominal fee that would not be full valuable consideration. Determining what constitutes full valuable consideration is complex, so it is important to obtain legal advice about your specific circumstances. Involved the exercise or the omission to exercise by a person of a right, a discretion or a power of appointment, disposition, nomination or direction that, if not exercised or if not omitted, could have resulted in a benefit to the person applying for a family provision order, the deceased or the estate of the principal party to the transaction. If the transfer was intended to deny or limit provision being made out of the estate of the deceased for the proper maintenance, education or advancement in life of any person who is entitled to apply for a family provision order, then three years before the deceased’s date of death. The Court will also only make a notional estate order if it considers that the impetus for making a notional estate order overcomes the importance of not interfering with reasonable expectations in relation to property, the substantial justice and merits involved in making or refusing to make the order, or any other matter it considers relevant in the circumstances. In addition to the above, Section 79 empowers the Court may make a notional estate order out of distributed estate. Can I sue for a share of my father’s property that is held as a joint tenancy? Your father’s failure to sever his joint tenancy before he died can be deemed to be a relevant transaction. 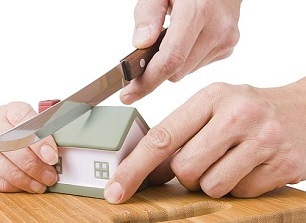 Section 76(2)(b) of the Succession Act 2006 (NSW) provides that, where a person holds an interest in property as a joint tenant, failing to sever the joint tenancy is sufficient to establish a relevant property transaction. Importantly, Section 76(4) provides that a person is not given full or any valuable consideration for not severing an interest in property held as a joint tenant merely because, by not severing that interest, the person retains, until his or her death, the benefit of the right of survivorship in respect of that property.